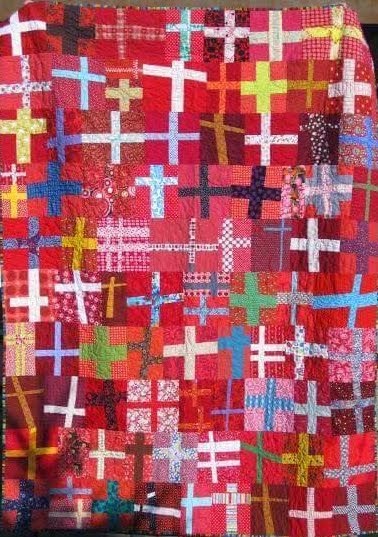 These wonderful cross or plus sign quilts were actually once known as"Arithmetic Quilts". 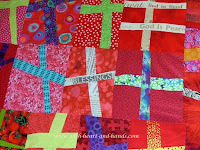 A catchy names for those quilters seeing the cross blocks as plus signs. 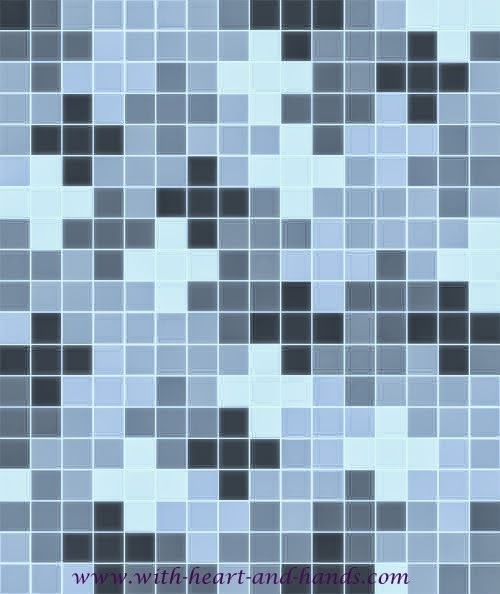 Creating one, is as simple as doing the match with simple squares to create a block and then adding in other squares/and or rectangles to make the finished block and quilt size you might want! 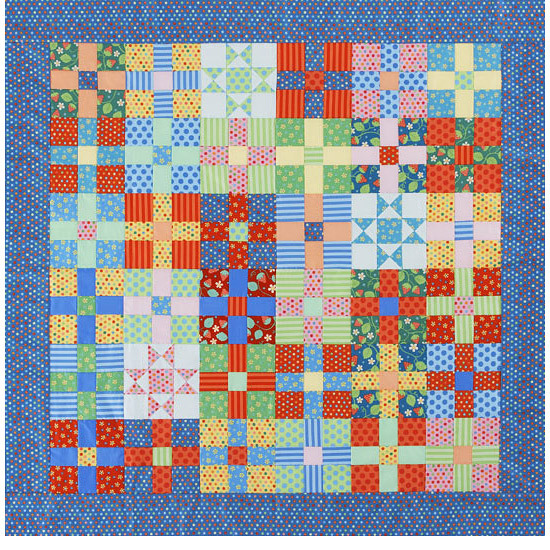 Cross quilt blocks can be square, rectangular or improvisationally pieced. 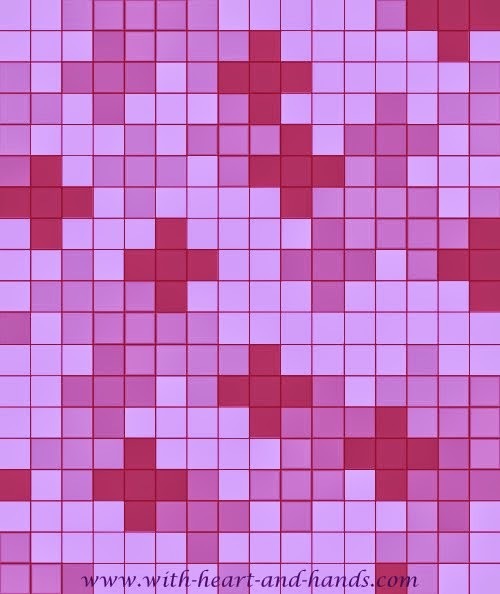 But if you want your blocks to be a variety of sizes, they also need to be divisible by smaller block sizes and so they can be as easy or as complicated as you want and need them to be! 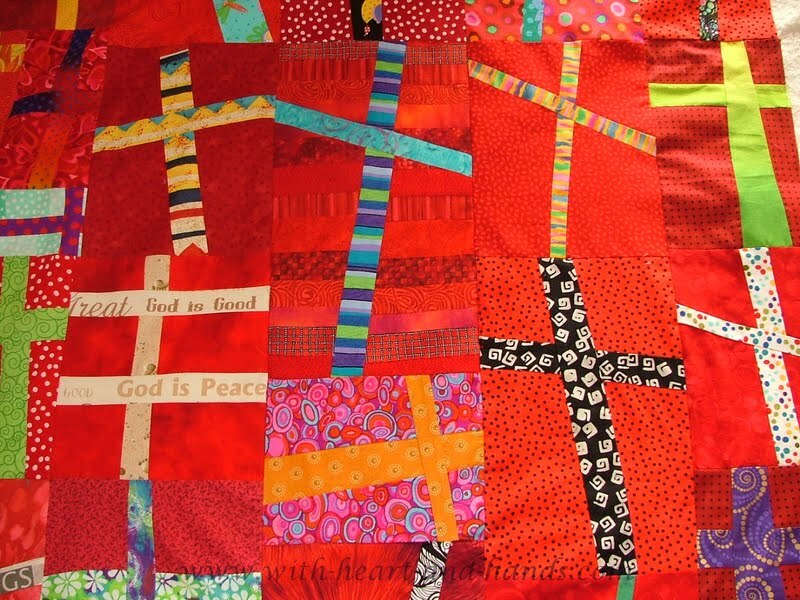 Mary Lou Weidman and other quilters were recently sharing their interest in making 'cross' quilts' and checking out google images or pinterest. 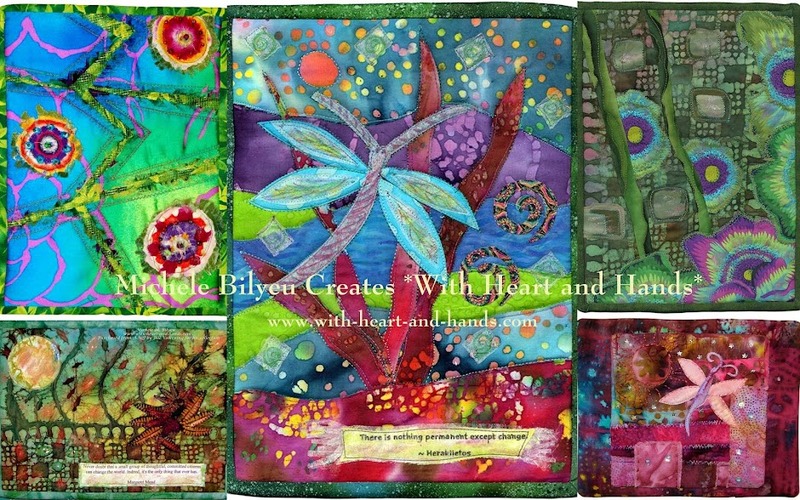 Now, Mary fell in love with a really, really artsy quilt that was created by a super talented art quilter. And that is not something all of us are capable of creating. 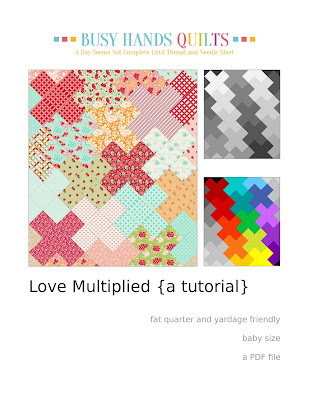 So, if you need ideas, or a tutorial for any kind of a quilt, it's not always as easy as it should be figuring out the 'how to's' without a little help! 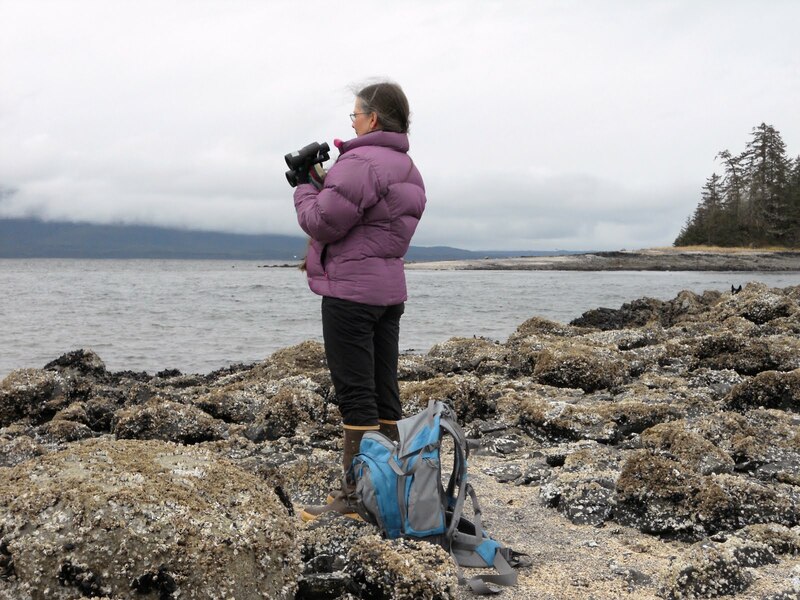 Unfortunately, search engines doesn't always show free images even if you type in the word 'free' and pinterest, frankly..is filled with just images now of people wanting ' hits ' and not caring that they are taking you on wild goose chase! And here is one that might be a bit more do-able! And here's the one, I'm actually doing! 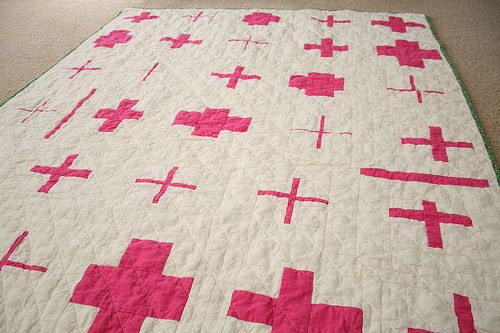 Liberated, improvisationally free pieced cross quilt! 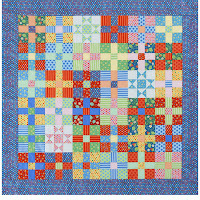 Directions for making blocks, ideas, inspiration and the finished quilt at my links! From Michele Bilyeu: With Heart and Hands! All of my links on the making of these blocks : updated regularly! And at the bottom of this post is a sampling of the style that Mary Lou loves and that friends are thinking about creating for her. (depending on who offers to help and who actually creates some 'hootchy mama' blocks for Mary! 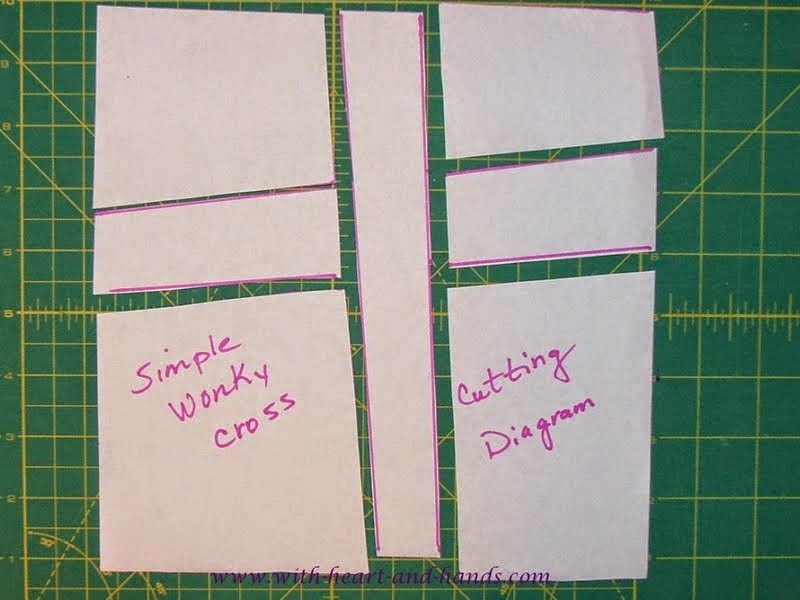 But for everyone else, especially those who are not wonky, liberated or improvisationally inclined due to sanity and time constraints.........Here are some simple ideas and directions, for easier yet still awesome, cross quilts! And everyone else, think about making one of these for someone you know who might be facing a similar challenge. 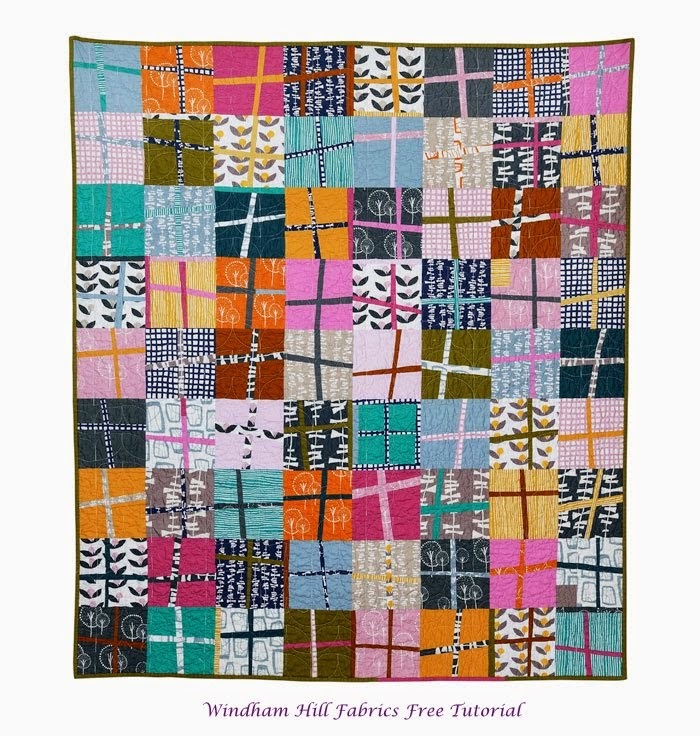 These are absolutely perfect for a lap quilt during chemo, for someone in a wheelchair or even in bed, if you make one a bit larger. Let's start with easiest of all...the simple nine patch. 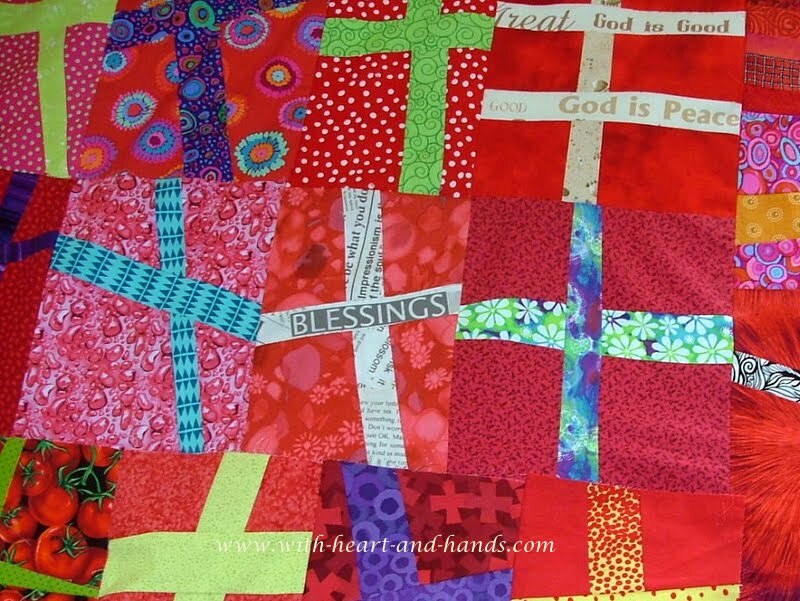 Makes a recognizable cross quilt and can still make a wonderful and quick gift! 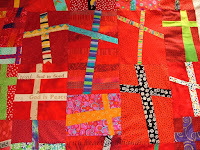 The prayer quilts that I have made in the past, were simple nine patch quilts. They are the easist of all to make, of course. 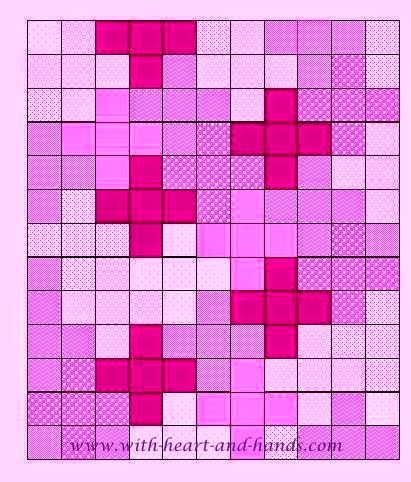 I choose pink and purple for this quilt titled "Hope and Remembrance". It was made in honor of my mother who battled Stage 3b Inflammatory Breast Cancer and survived her 5 year milestone to then get Alzheimer's Disease, which she lived with until her death almost 9 years later. In honor of what would have been their 66th anniversary today, I am thinking of both my mom and my dad and sending love and gratitude by working on this project of cross quilts in their honor. 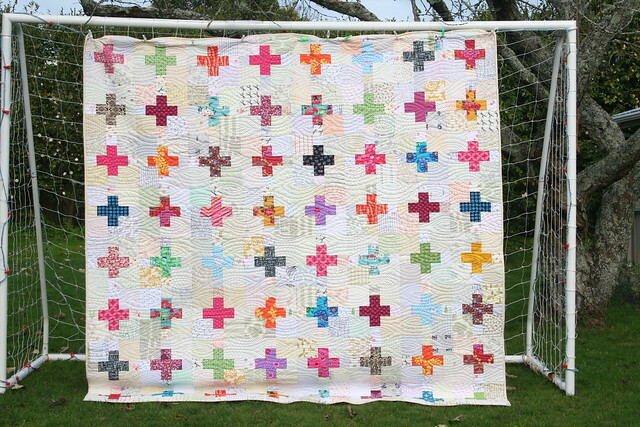 How easy it would then be to create a quilt from an assortment of wonky cross blocks! Use my cutting diagram above but cross cut that solid vertical piece! 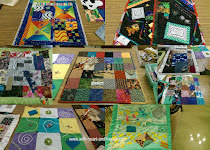 And now, we have an entire group..... modern and art quilters who are looking for more diverse arrangements with value and layouts and an entire generation of cross quilts have morphed into 'plus' quilts....some carefully pieced, others improvisationally created. So much fun, no matter what you choose to create! 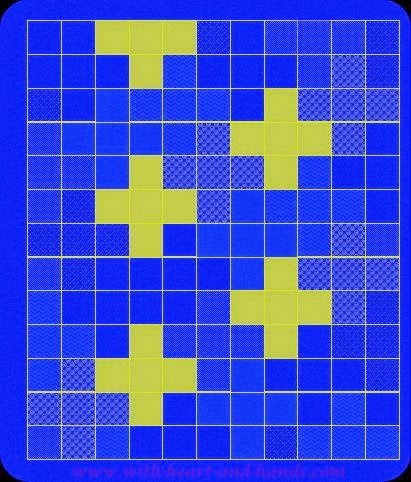 How about Skinny Crosses or Pluses if you're mathematically inclined? 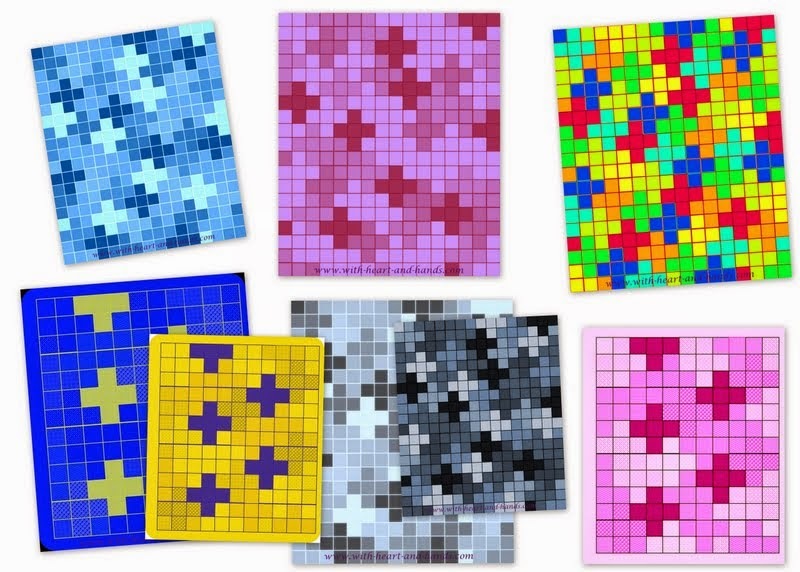 But you can simply do the 'arithmetic' as I did by counting squares and make one any size you wish! 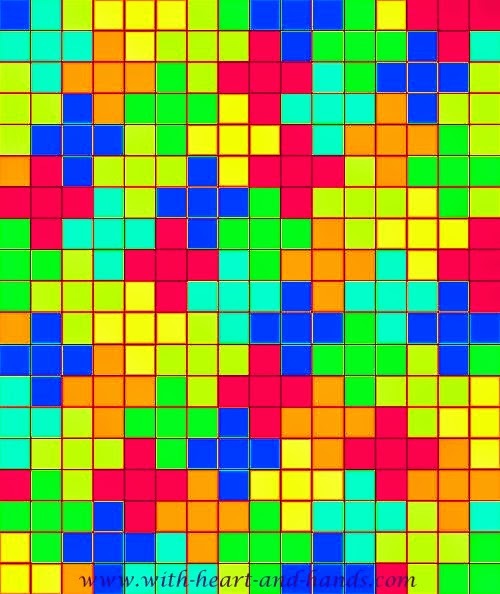 Color Selection and Value: See how differently one quilt can be depending on your own personal choices and selection of fabrics. 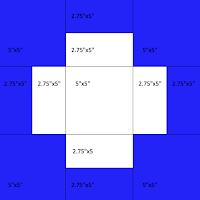 This layout is for a quilt that is about 54" x 75"when finished and larger if you add borders. This is considered a nice lap, nap, or cot size. Subcut each strip into (4) 4.5" squares for a grand total of 320 squares. If you cant wing it from here, check out the 'By George' diagram. Note that other sites are linked at bottom of this post for other ideas! 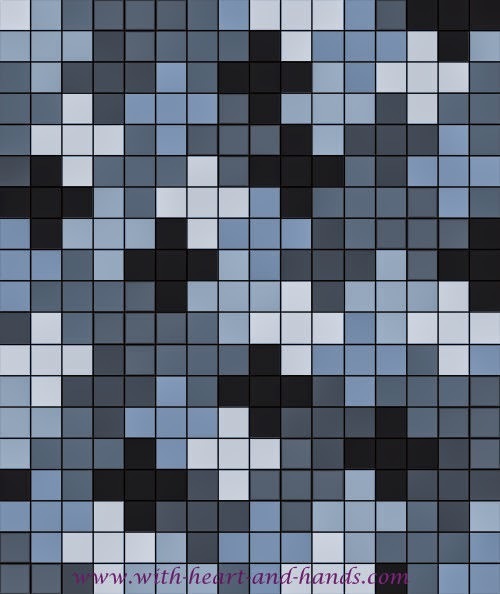 Cross or Plus quilt finishes at 38" x 52"
15 different fabrics if you want real variety and subtle background tones or fewer if not. 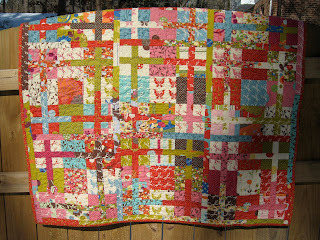 Start with approximate scraps that are at least 4.5" strips of each to create blocks that will be cut at 4"x 4"
1. 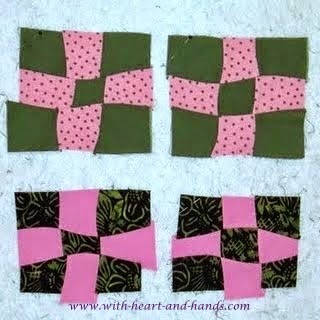 To cut the squares, align the selvedges of each fabric and cut a four-inch strip, then sub cut the strips into 4” squares. 2. 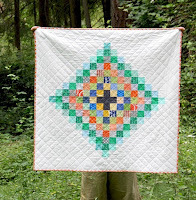 Follow the diagram or quilt photo to layout your squares. click on one of the pictured links below and go directly to others sites for tutorials! Note: All of these arithmetic, plus, or cross quilt patterns and tutorials are available for free, don't be fooled by going into a cart and paying for one. Come here and I will almost always have what you need, if not..I will soon be adding it in! 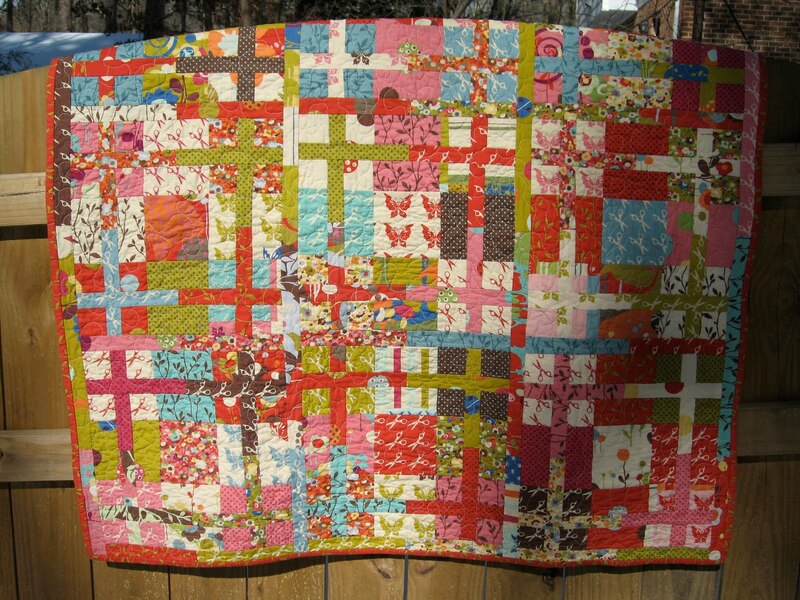 Happy Camper Wonky Cross Quilt with a free tutorial from Sew, Mama Sew! Get the FREE Criss-Cross Cushions pattern here. Ideas from Pinterest and google images!